Premier Bob McLeod says he’s willing to offer the Dehcho First Nations a new land claim deal within 90 days, despite the N.W.T. government having already made the group a “final” offer. 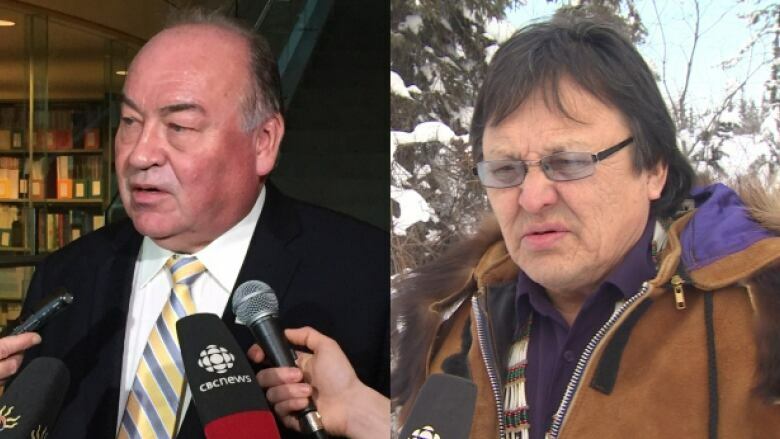 Premier Bob McLeod says he's willing to offer the Dehcho First Nations a new land claim deal within 90 days, despite the N.W.T. government having already made the group a "final" offer. McLeod made the announcement Wednesday in answer to a question posed during the lead-up to the vote that saw him secure a second consecutive term as premier. "I commit here to meeting leaders in the next 45 days and presenting new offers within 90 days," said McLeod. "The style of negotiations needs to be changed. The old way is far too adversarial. It's taken far too long and costing far too much in time, energy and money." The N.W.T. government took over the federal government's lead role in negotiating a land claim with the First Nation when devolution kicked in. The territorial government made its own offer to the Dehcho: 37,500 square kilometres, with royalties of about 18 per cent on the land -- but no minerals rights. The Dehcho want ownership of 50,000 square kilometres of land, plus mineral rights. "We need to see that. We need to sit down and see what that's going to mean," said Norwegian. The territorial government wants to settle the claim in the next four years. "We could even do it earlier as soon as we get some serious, strong commitment that they're willing to cut the deal and if the federal government...is willing also to rubber stamp [it]," said Norwegian. McLeod said he'd like to create a joint committee of regular MLAs and cabinet members that can provide advice to the government's negotiators — an idea warmly received by Norwegian. "I think that's the thing that was missing the last time around," he said. "What you need is something that's going to be a go-between, a body that can actually have the doors open between cabinet and the very groups that are negotiating." What concerns Norwegian is the makeup of the N.W.T. 's recently-formed cabinet. With all cabinet members coming from the larger communities of Yellowknife, Hay River, Inuvik and Fort Smith, Norwegian worries that the settlement of land claims affecting smaller communities will fall by the wayside. "Where the real work needs to take place, and where we need to get some momentum, is in the communities. If you don't have a community representative that's sitting at that level, then they're spinning their wheels." Many MLAs have said settling outstanding land claims should be major priority of the 18th assembly.